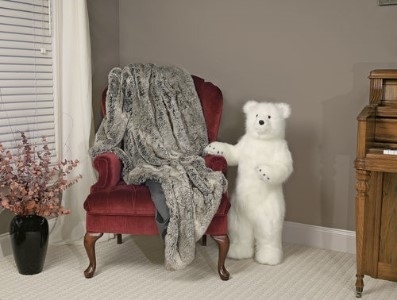 This 50"x60" Gray Mist faux fur throw is perfect to just cuddle in front of the fireplace. Faux Fur Throws are sure to warm hearths and hearts. Beautiful in any home, office or cottage retreat.